I walked 330km from Porto, Portugal to Santiago de Compostela, Spain for the coastal way of the Camino de Santiago. When you walk that much, you can eat whatever you want, and I did. 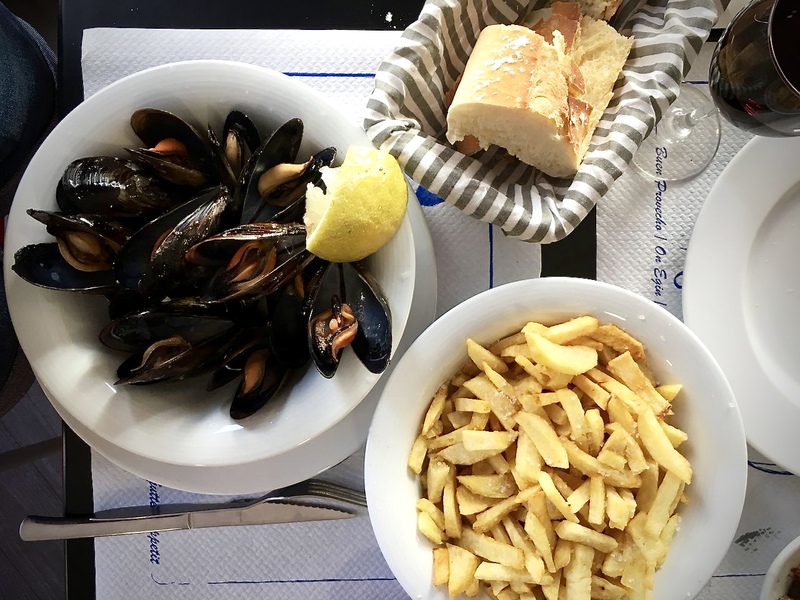 These are my favorite dishes from the Portuguese coast that I tried along the way. 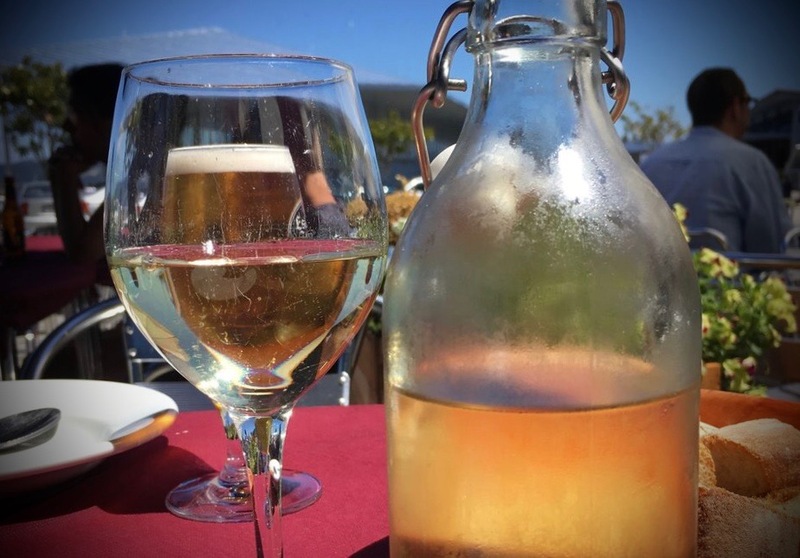 Vinho Verde is the local staple for wine consumption. It originates from the Minho province in the far North of Portugal. While the literal translation is “green wine” it is understood as “a young wine” and can be of any varietal or color though most commonly planted and most popular is certainly the Alvarinho grape (Albariño across the border in the Rias Baixas region of Spain.) Simply put, it is wine meant to be consumed immediately after harvest. The sooner the better, right? The best part is that when ordering Vino Verde it almost always means getting your own personal jug and not just a measly glass. The wine is crisp, clean, and high in acidity with subtle floral notes and punchy citrus flavors on the palate. 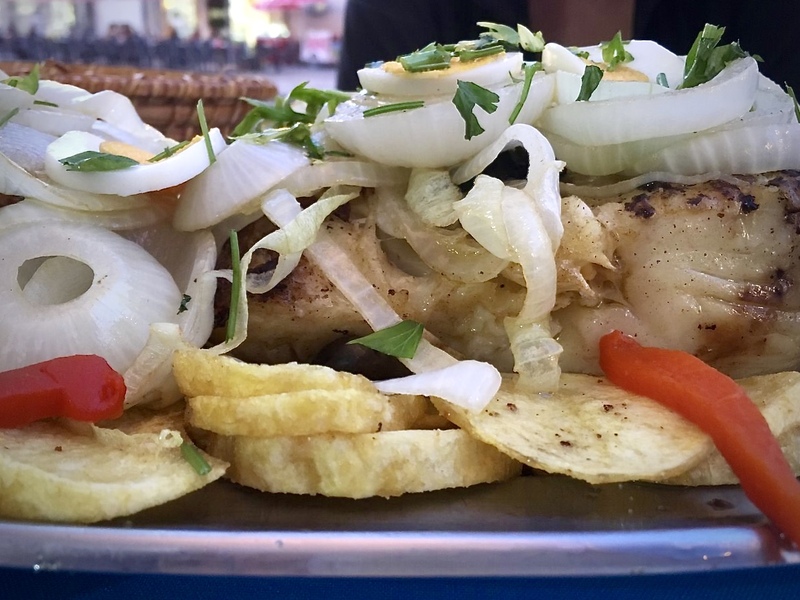 Cod is a Portuguese staple. I’ll take it any which way I can get it but salted cod is most common. 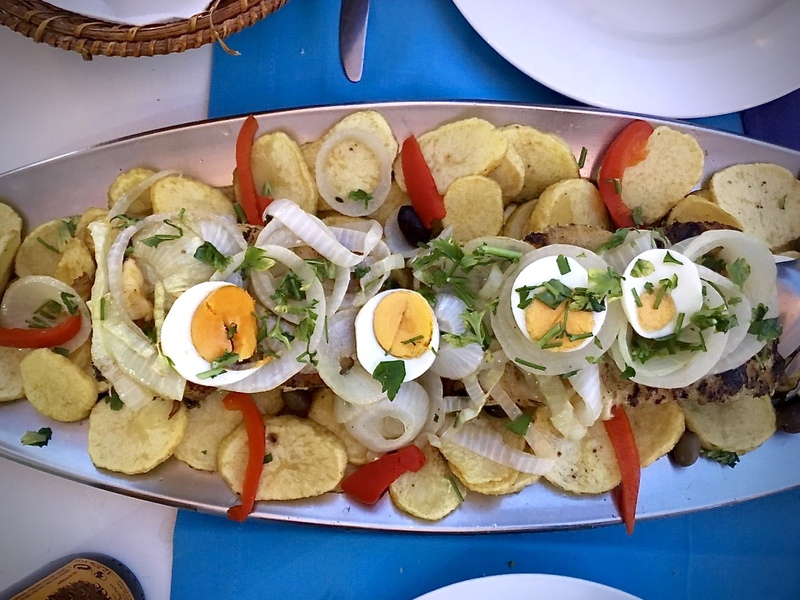 Bacalhau is Portuguese for cod and traditionally prepared with potato, egg, onion, and olives. The cod dish pictured below was laid over a bed of perfectly crispy on the outside, soft on the inside potato disks and covered in slightly sauteed onion, red pepper, hard boiled egg, and parsley. It basically changed my life. Hands down one of the best self-induced food comas I’ve ever experienced. 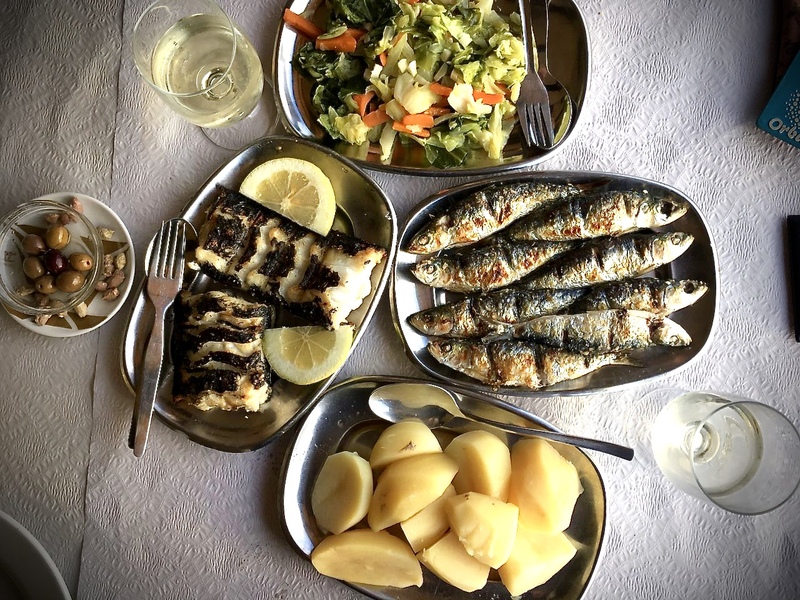 Sardines and black scabbardfish are two of the most common fish you’ll come across in Portugal. 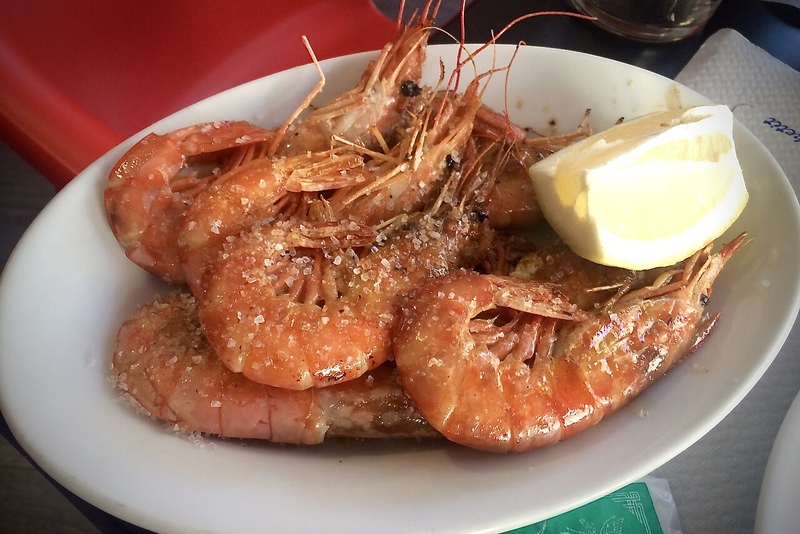 You’ve never tasted seafood like this till you’ve had them plucked fresh from the sea to the open air grill in the back of every coastal restaurant and brought to your table. Perfectly charred on a simple well-worn grill, the flavors of the fish require little help. A generous pour of olive oil and a touch of salt is all that’s needed. Traditionally, these fish are served with simple, boiled potatoes on the side. This soup is comfort food at its best. Shredded kale in and chouriço (Portuguese sausage) swimming in a rich broth made of onion and potato with olive oil. It’s just a touch of tart and tangy mixed with smokey flavor in a starchy full-flavored broth for a simple yet filling and satiating meal. 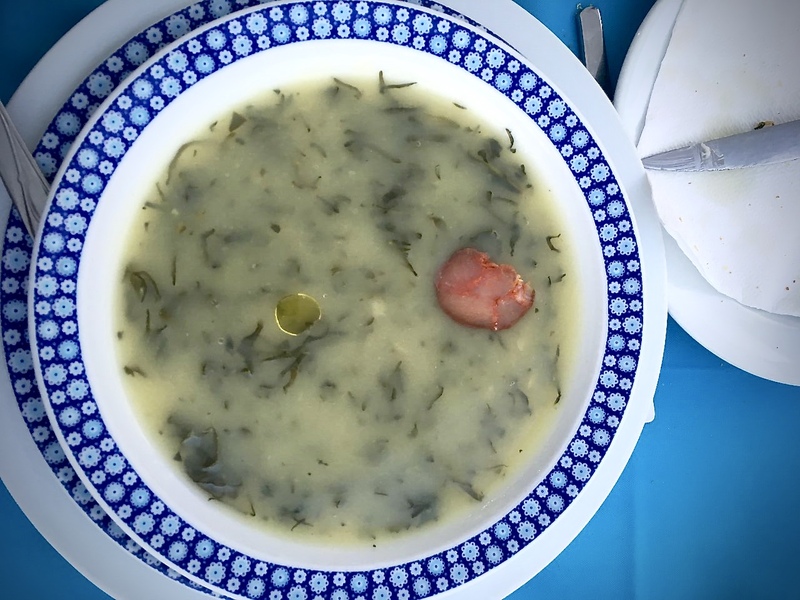 This simple soup is just like your Portuguese grandmother would make if you were lucky enough to have a Portuguese grandmother. It’s no frills but it’s every thing you want in a comfort food. A rich beef broth and chunks of sausage give this soup a dense viscosity and whole, soft chickpeas add a hearty texture. 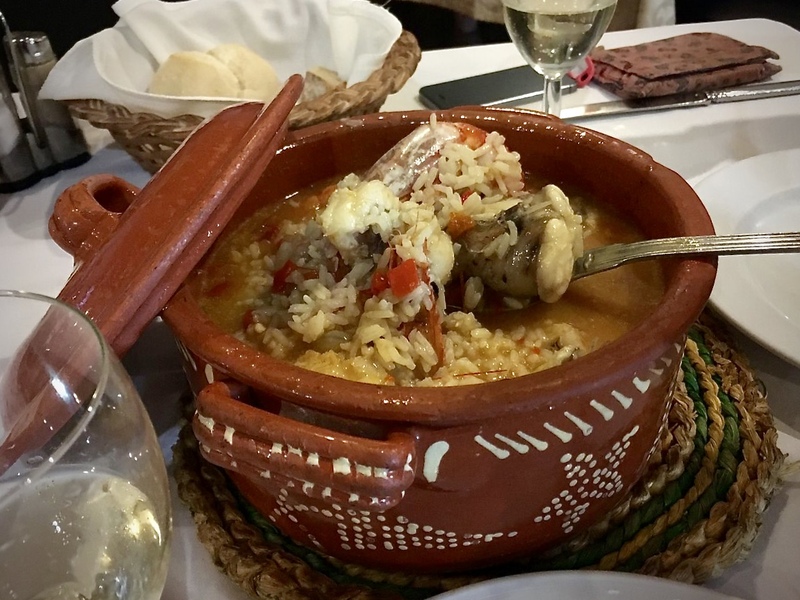 Mariscada is a seafood stew with rice. 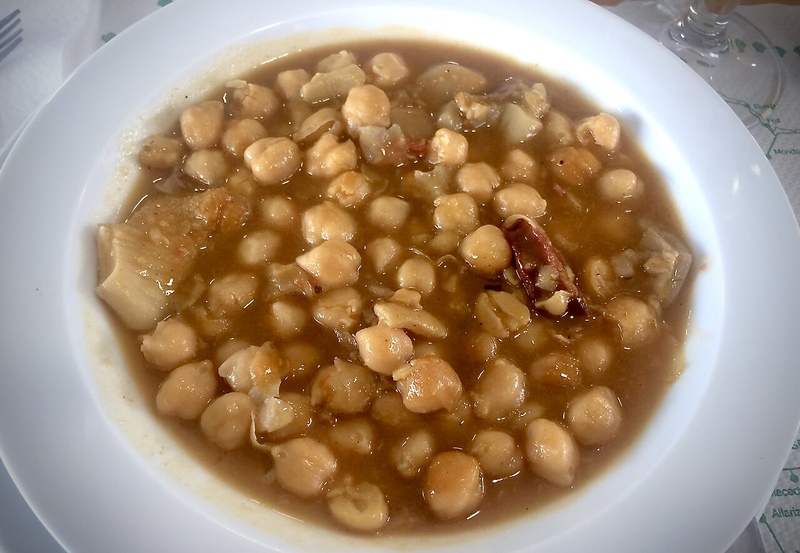 The dish is popular along Portugal’s coast. Shellfish like clams, shrimp, mussels, and lobster are the most common sea creatures used. 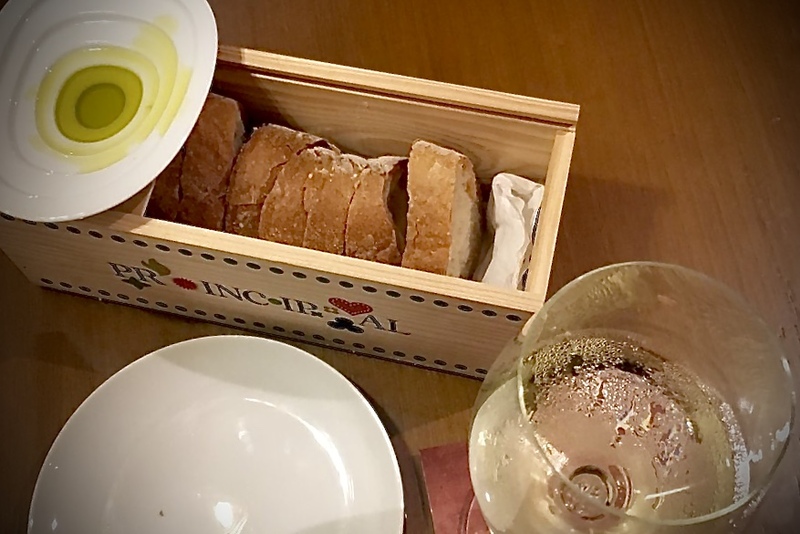 The dish is hearty and delicious and perfect with the endless bread baskets that are served with every meal. This dish can’t possibly be more simple. 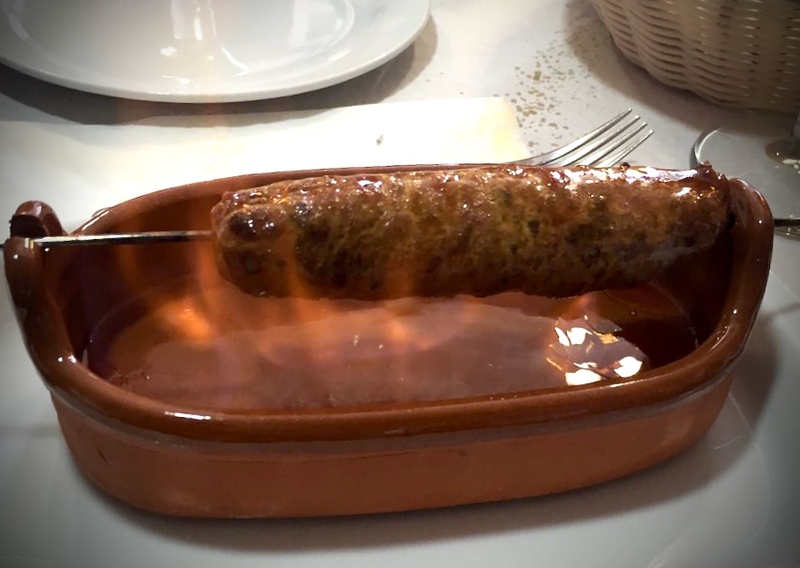 It’s meat on a stick over a flame, but it looks cool and tastes great. Portuguese chorizo is mild in spice but full of flavor. The direct flame gives the sausage a nice, quick char on the outside while the meat stays juicy on the inside. Fire is fun. Meat is good. 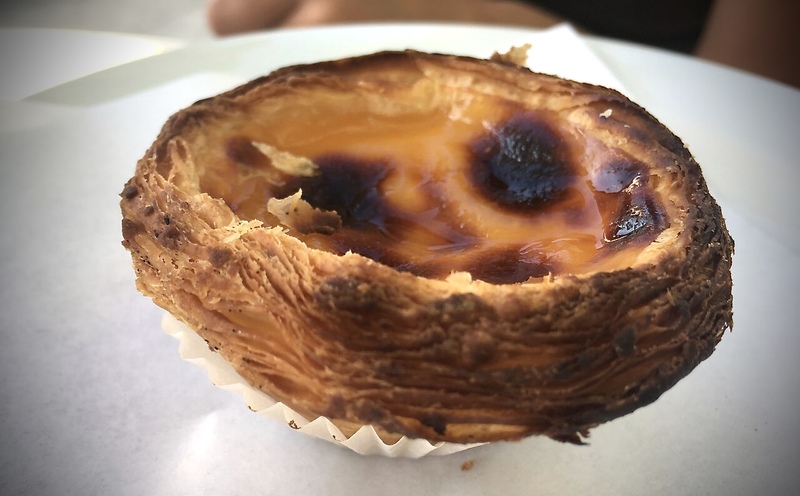 A sweet treat can never be forgotten when it’s as good as a well-made pastel de nata. The cupcakes-sized, flaky pastry is filled with a rich and creamy egg custard and baked to blistered perfection.